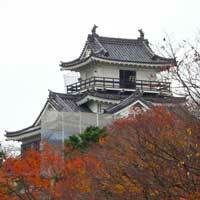 Hamamatsu Zoo originally located in the Hamamatsu Castle Park. Since the zoo needed more space to accomodate increasing animals,　it was moved to new location where there are more room, green and fresh air. Althuogh new zoo moved to near perfect site, there was one problem. During the summer festival the fire works are launched at the hot spring resort. Some animals were stressed out by that noise, and the zookeepers could not do　anything about it. Fortunately animals were adapted to new environment gradually. Now the zoo is one of the biggest tourism spot in this area. He hates me? No, he is just demonstrating his power. The chimpanzee is biting and tearing the line to show his anger. Can you guess why? Answer: Mr. Atsumi, the chief curator, is looking at him close by. Mr. Atsumi is the veterinarian, who gives him a shot sometimes. So he is trying to scare the vet away. The animal has to be healthy to show that attitude. His attitude proved that he is in good condition that is why Mr.Atumi is smiling at the chimp no matter how much he is angry at. 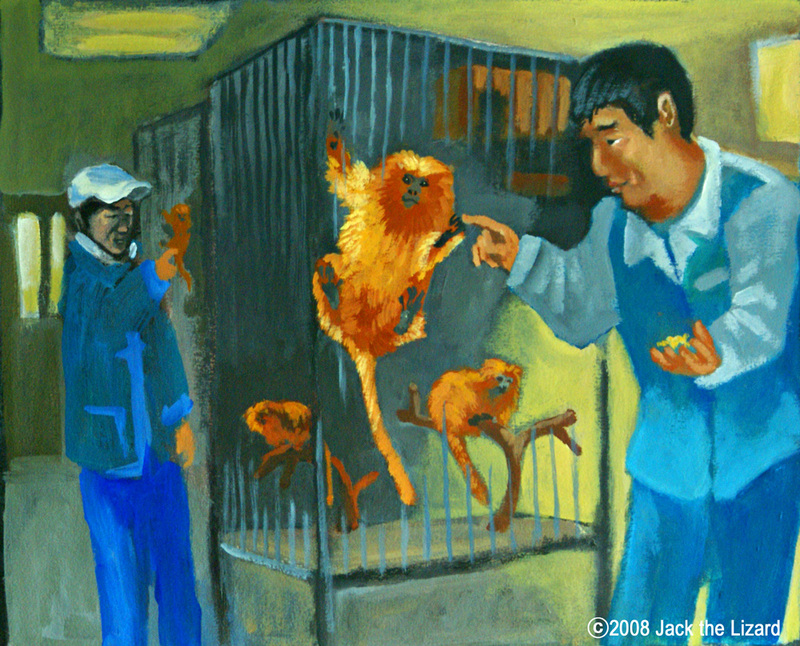 "I wish the male Black-handed Spider Monkey, Toku, were a MAN", says Mr. Kazuo Okamoto. "His girlfriend, Nana, is ready to mate. Toku is also interested in Nana, and he tries to mate, but it was only a gesture. He is still a boy!" 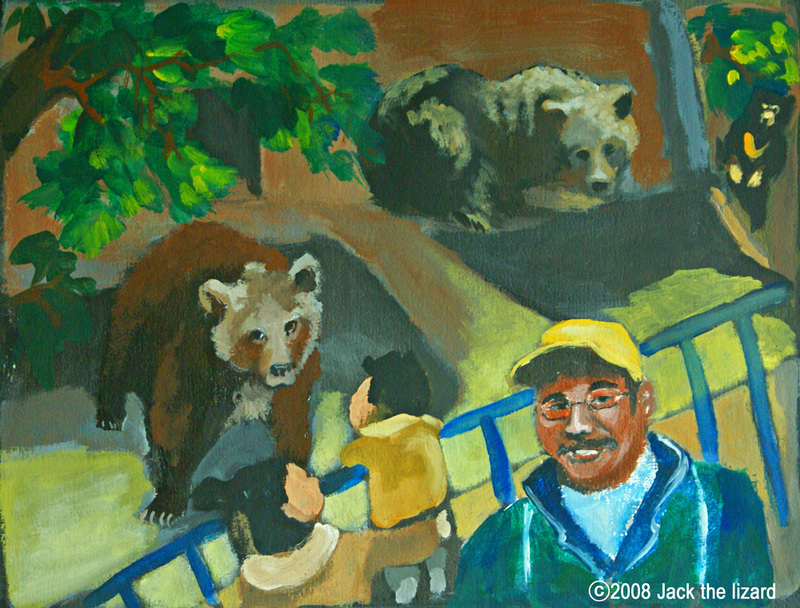 Mr. Okamoto, the Zookeeper, takes care of them as if he is their real father. He hopes Toku can grow his family soon. It may take time…. Don’t be afraid. Touch gently. "I am here to help children to have fun to interact with animals", says the zookeeper Ms. Misako Matsushita. Nowadays, kids don't have much opportunity to play with animals in ordinary life as we used to do. She finds quite a few are afraid of bunnies. "I show the kids how to hold them. 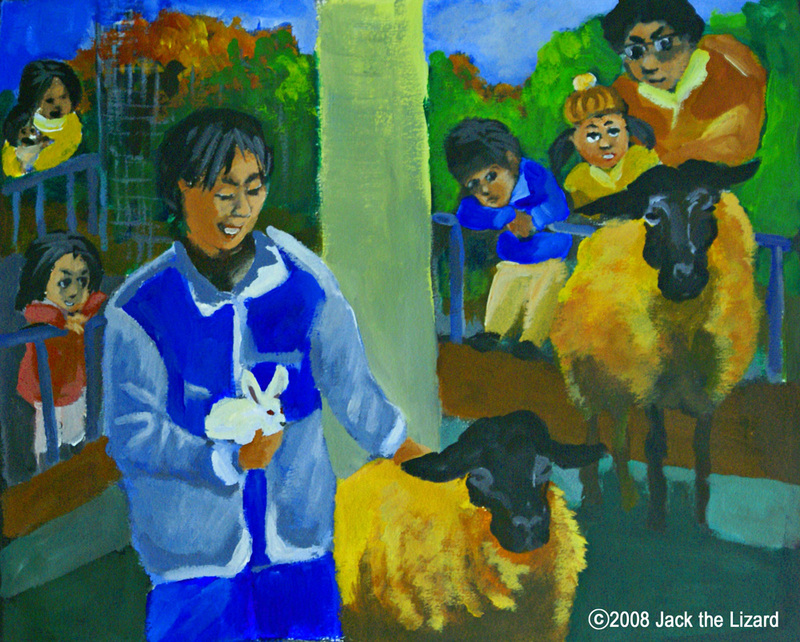 The children look very happy once they notice that a rabbit is like a warm cotton ball." Goro the Brown Bear is smacking his hands into the iron door. How powerful he is! The noise is so loud like a thunder. The Brown Bear is the most powerful mammals in Japan. 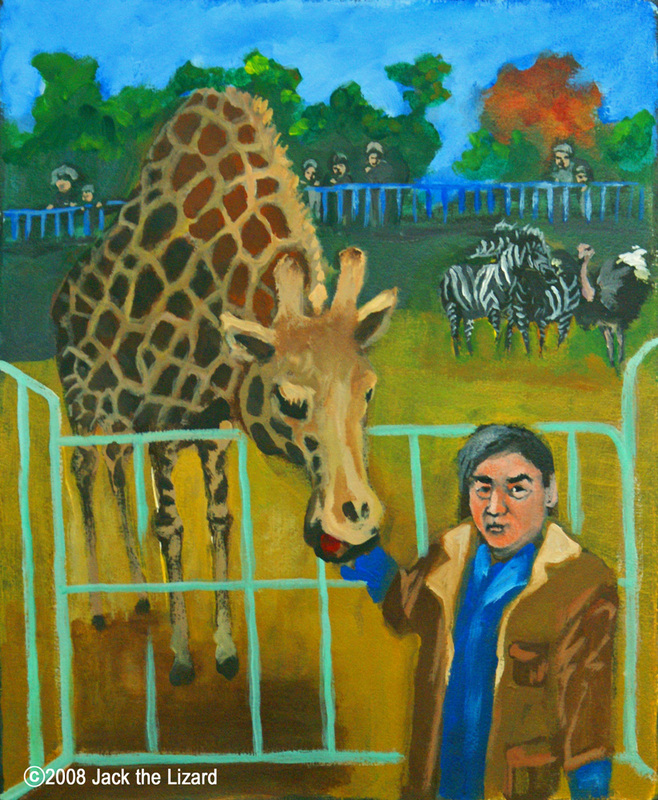 The zookeeper Mr. Kenji Komiya says "He does it only before the meal time. The rest of the time, his mate, Pirika, dominates over Goro. He is normally quite docile." Mr. Kamiya can tell their personality, that he has learnt through the daily care. 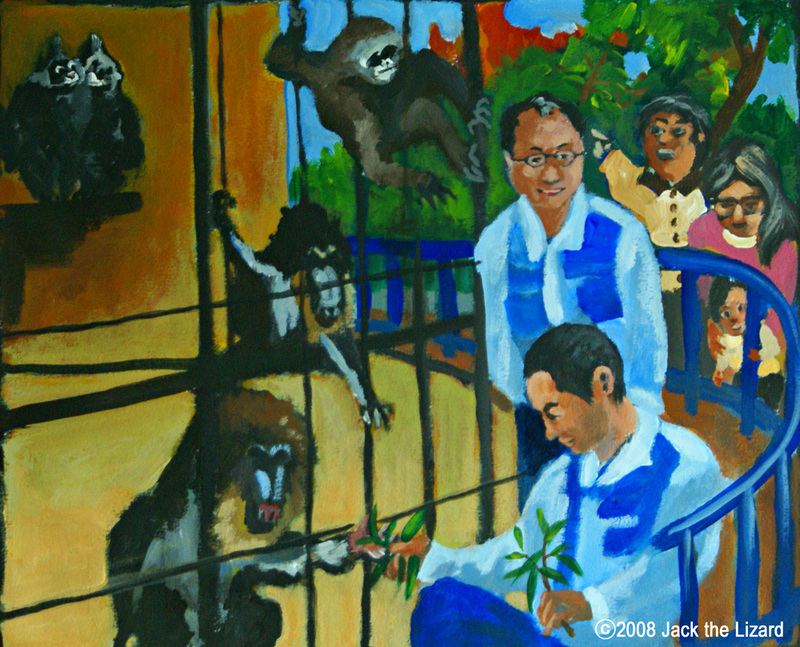 The Agile Gibbon doesn't like her Zookeeper Mr. Tokuo Odagi. “Doesn't she just like to make fun of you?" "No, she really doesn't like me. I guess she thinks I am too forward. I see her trying to play a trick on me." It is good that she is able to show her real feeling. Mr. Oda says so with a bitter smile. The Hamadryads are in the next cage. They are expecting some afternoon treat from Mr. Oda. 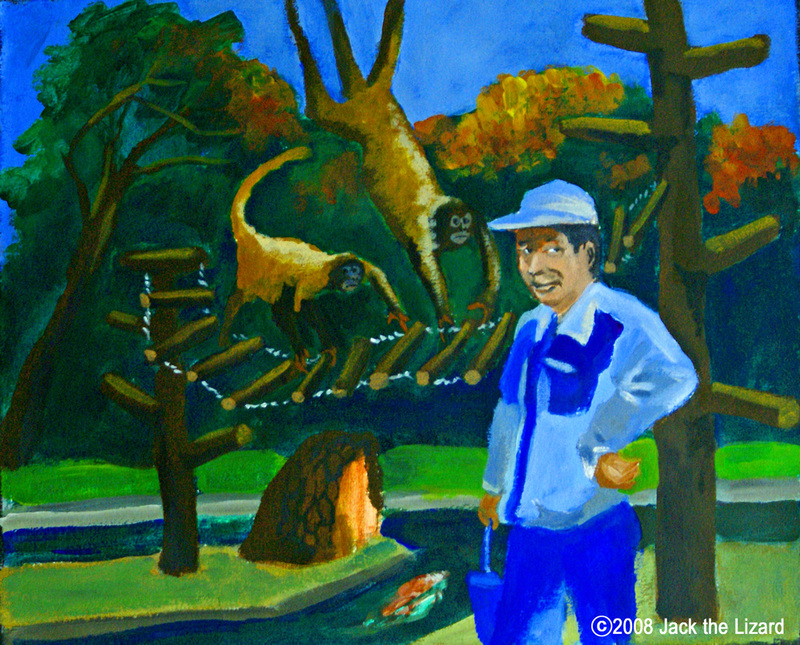 Mr. Takayuki Yokoyama is another zookeeper at the monkey zone. It's fun and easier to take care of the Francois' Leaf-monkey for him because the pair is happy to be together. "I don't want any of the monkeys to get hurt. If they don't like to each other, we have to worry much," he says. The Zookeepers come around often to make sure that everything is just fine. The experienced zookeeper is very careful with a new animal. "I had taken care of elephants as an zookeeper for ten years before. Now I am new to giraffes. I have taken care of them for a year. It takes 6 years at least to build a good relationship with them, I guess", says Mr. Yutaka Muraki. While the elephants eat the hay of fabaceae, the giraffes eat the hay of poaceae. Their diet doesn't have to be nutritious because a giraffe is a ruminant. Like the real savannah in Africa, the Grand Zebras and ostriches live together with them in the same corral. "I have to keep my eyes on all of them. I see the giraffe bugging a zebra sometimes. The zebra fights back to the giraffe. Actually the big giraffe has been bitten on his ears and ripped part of it." Oh~, being a zookeeper sounds very hard for me. "The GLT is the biggest of the family Cebidae. They are very healthy then it's not that hard to take care of them." He dices up apples in half-inch cubes, he studies the condition of their group from their howling, and he………. Hey, wait a minute. There are so many things to do and they don’t sound easy jobs to me. According to Mr. Suzuki, the GLT has more than five different voice tones for communication. "It’s a little monkey, but their behaviour is sometimes aggressive. Their fangs are sharp enough to hurt others. I stop their skirmish occasionally." In front of us, the GLTs shine like golden treasures. Hamamatsu's GLTs travel to the worlds. The GLT is an endangered species. Its bleeding is monitored internationally, and one of the conservation program is organized in the US. 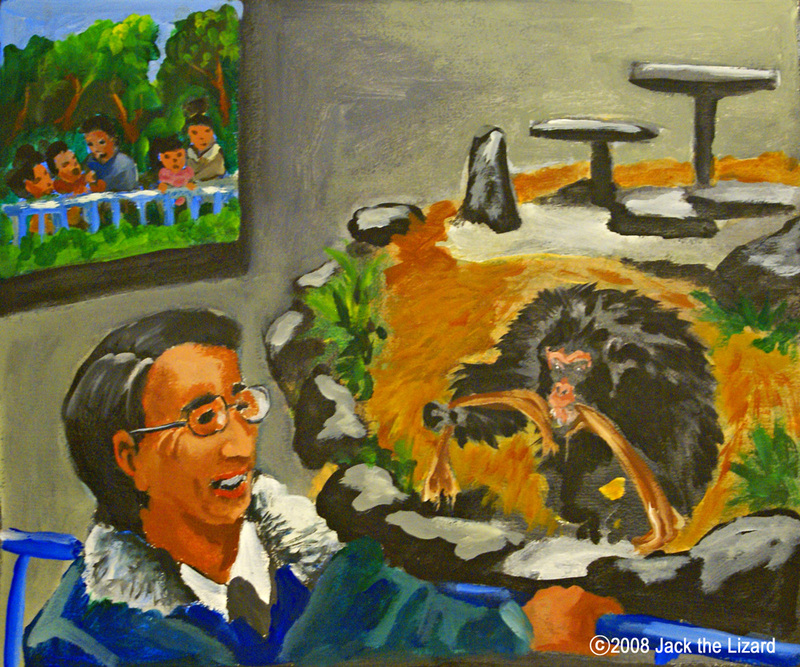 Mr. Yuji Ozasa is a leader of the study group at the zoo. He is a vet and also delegate to the conservation program. Hamamatsu Zoo has had the GLT bled very successfully since 1994. The mother, Rika, had brought up 15 infants in her life, and 8 of those were sent to the other zoos in foreign countries such as Singapore, Australia, China, and so on. Rika died in 2006. "She was a very good mother. Her death is the big loss for us. She had brought up a lot of babies. I wish we have another female someday to grow the GLT family again in this zoo", says Mr. Ozasa. 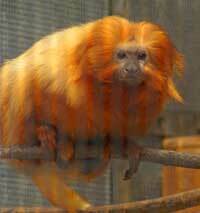 Now 8 male GLTs live in Hamamatsu Zoo. The wild predators are here! Underneath of me. Now it's his turn. The door is opened for the male Black Panther. There is a cub born in November 2006. The male has to be separated from the cub and her mother because he may hurt or kill the cub. Mr. Hidetaka Suzuki carefully let him walk out to the corral after he confirmed the cub and the mother have come into the barn. However, the male panther looks busy to find out who I am, a strange visitor, and doesn't go out soon. The Black Panther is very curious. It's important to have him play actively. "They are normally very quiet, but I can imagine how powerful they are. Look at their heavily muscled bodys!" says Mr. Suzuki enthusiastically. I am sure that Mr. Suzuki loves the panther very much. Western Lowland Gorilla is very smart and cautious. 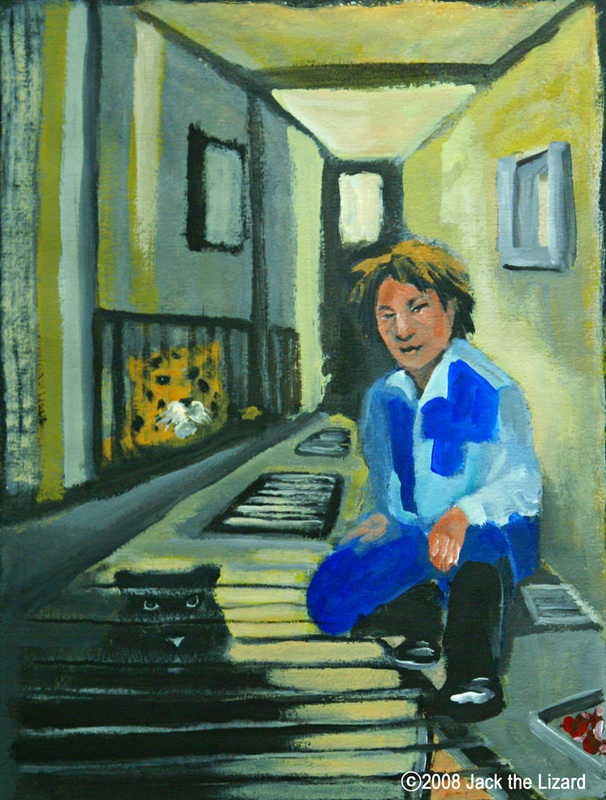 When he sees his zookeeper Mr. Masayuki Doi talking with somebody else, he thinks who the person is and why. He is sensitive to noise. If he sees that Mr. Doi is with the constructors who make the annoying noise, he changes his behaviour. "OK, now you are the friend of those annoying guys!" 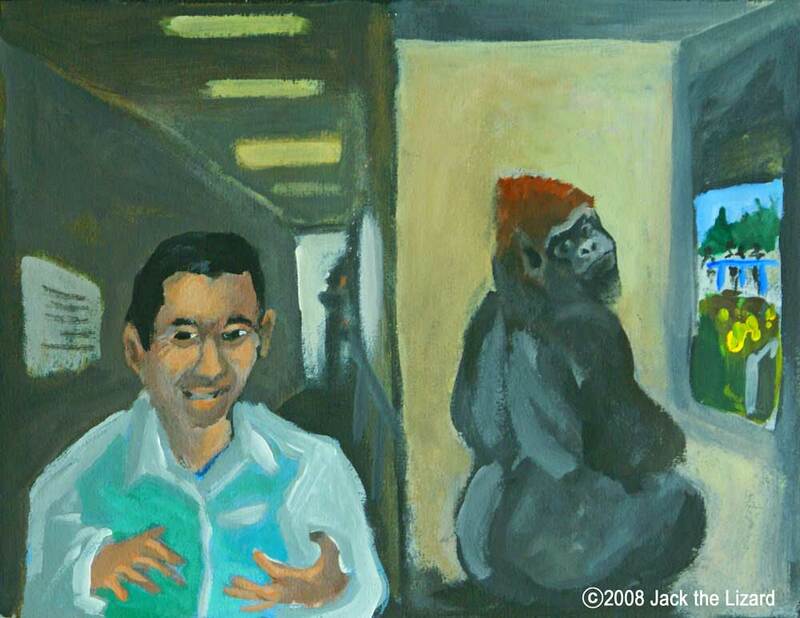 That is the feeling that the gorilla has in his mind, Mr. Doi believes. Sometimes the gorilla shows his back against Mr. Doi. Mr. Doi has to talk and take care of the gorilla to fix their relationship. This story is about human relationship, isn't it? Hamamatsu Zoo invites you to a lot of events. The zookeepers are right there to explain about the animals to you. The Zoo is also planning the tour to the animal hospital. You can interact with the animals. Taking a photo with a giraffe, feeding kangaroos, these are just a few examples. Unfortunately time flies very fast. I wanted to hear more interesting stories. I have to come back. To Mr. Atsumi, Mr. Ozasa, and all the other staff members, thank you very much for such a great experience.